Why Did NYC Lose 15 Kosher Restaurants In 2018? “Everyone knows opening a restaurant is a tricky business. Only 21% of restaurant start-ups survive past 15 years, the average restaurant lifetime is 4.5 years, and 17% of restaurants fail within their first year of business. In the kosher community, all of those percentages are a whole lot higher. For all the talk of authentic Jewish delis going extinct, a few still take great pride in their pastrami. A pastrami sandwich at Harold’s New York Deli Restaurant in Edison, New Jersey weighs 20 ounces. The triple-decker at Harold’s weighs in at 3.5 pounds! Sharing is thankfully encouraged with no fee. The owner Harold Jaffe says that the deli sells 8,000 pounds of pastrami a week (all of which is made at the restaurant). 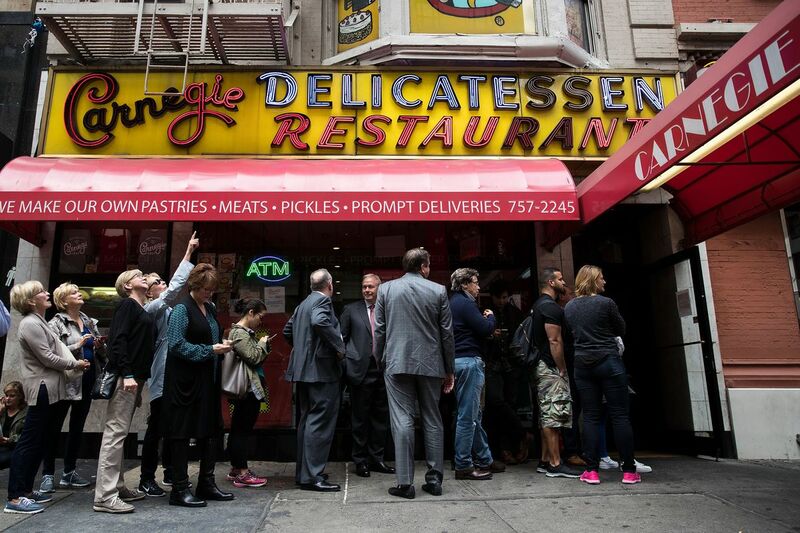 Mr. Jaffe learned the business by working at the Carnegie Deli in Manhattan for ten years. Customers enjoy bar that offers slices of rye bread, half-sours, spicy pickle chips and health salad (cabbage mixed with oil and vinegar). The Kosher Nosh is another deli located in Glen Rock, New Jersey, and has been in business for 40 years. The store is run by Avi Friede and Haim Peer, both originally from Israel. Mr, Friede says that by selling pastrami, lox, corned beef and other traditional deli foods, he is getting back to his Eastern European food roots. Hobby’s Delicatessen and Restaurant in Newark, New Jersey was purchased by Sam Brummer in 1962 and passed on to his sons Marc and Michael. The sons were taught to buy quality goods, prepare the goods well, provide excellent service and be a mensch (a person of integrity and honor). The pastrami sandwich is the restaurant’s best seller, even with a 12-page menu. According to Michael Brummer, there is one thing as important as properly steaming and slicing meat: schmoozing.